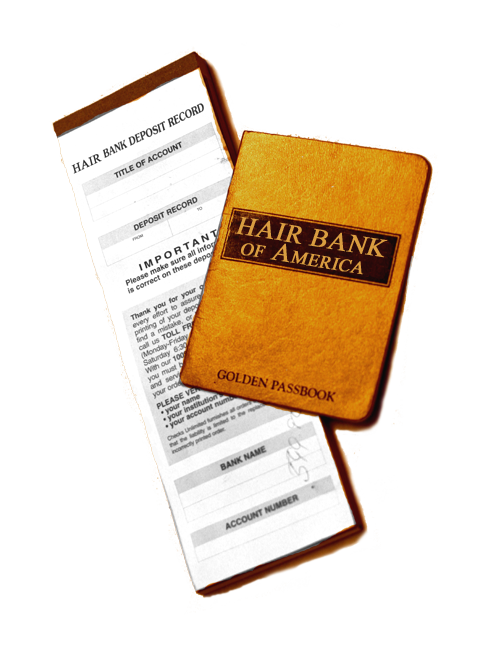 It’s in your best interest to harvest your hair from time to time due to the fact that there is a shortage of first quality hair available for hair replacement companies, especially in the U.S.A.
Every year you can harvest your hair and it then gets deposited into your Hair Bank passbook account. It is then weighed and cleaned to be and Credited to your account. We then use your hair to design an MHP Hair replacement for you or a member of your family in their time of need in our designer workshop. A completely natural way to build equity at the Hair Bank, while you are helping friends and family rebuilding confidence during the recovery process. It is important to preserve their self-esteem by maintaining their pre-treatment appearance while battling the trauma of sudden hair loss which occurs following their second chemo treatment. Don’t Donate Your Hair! Save it for yourself or a loved one. Do you realize that hair collected at mass media shave-a-thons by not-for-profit organizations that you’ve see on television throw away half of what they’ve collected from their donors? In other words, you might have shaven your head and felt good about what you have done, but your hair might have ended up in the trash or sold back to the hair industry. Heads Up With Locks Of Love! 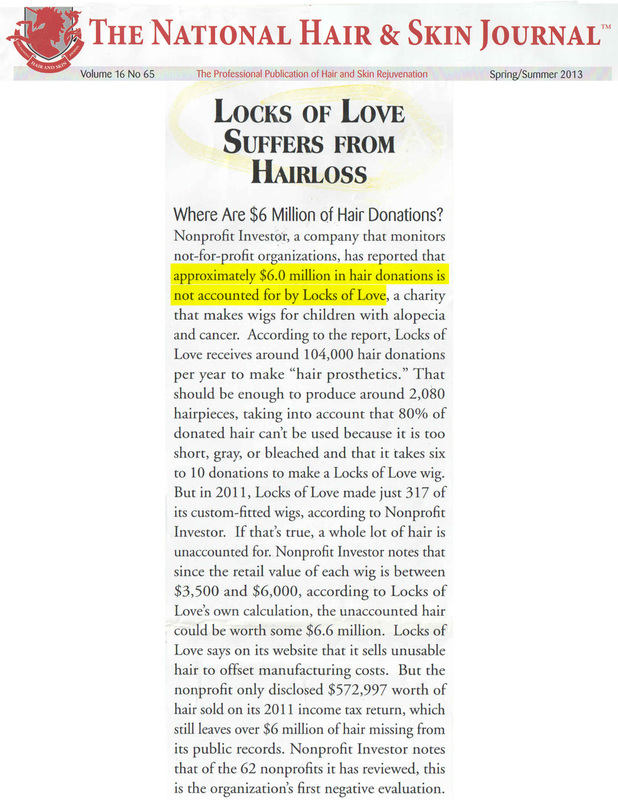 You’ll think twice about donating your hair to a non-profit after you read this. Click the image to read the full article. Click on the links below to read stories of hair robberies and the shortage of first quality hair.